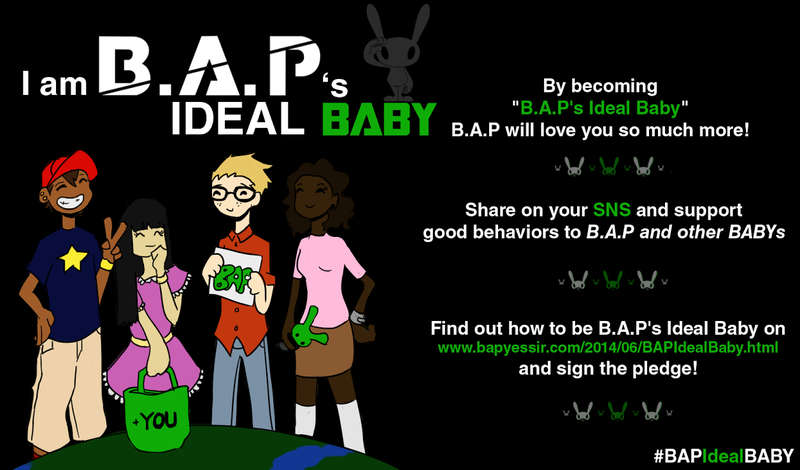 BYS: [4 Years With B.A.P] 'B.A.P's Young, Wild & Free World' Project | THANK YOU! [4 Years With B.A.P] 'B.A.P's Young, Wild & Free World' Project | THANK YOU! First of all, Happy New Year everyone! May all your dreams come true this year! We at BYS, think it's the best way to show B.A.P our appreciation of their effort to produce music that inspire youth to grow in compassionate adults who enjoy helping people instead of sending gifts B.A.P don't actually need. Since we are running out of time, we came up with a simple but meaningful project for their anniversary. For the next projects, we'll work on more creative projects, involving the fans' participation more. BYS will also raise funds to raise awareness about the world's refugees and those whose freedom were taken from them. Just like B.A.P, they want to be free from harm. 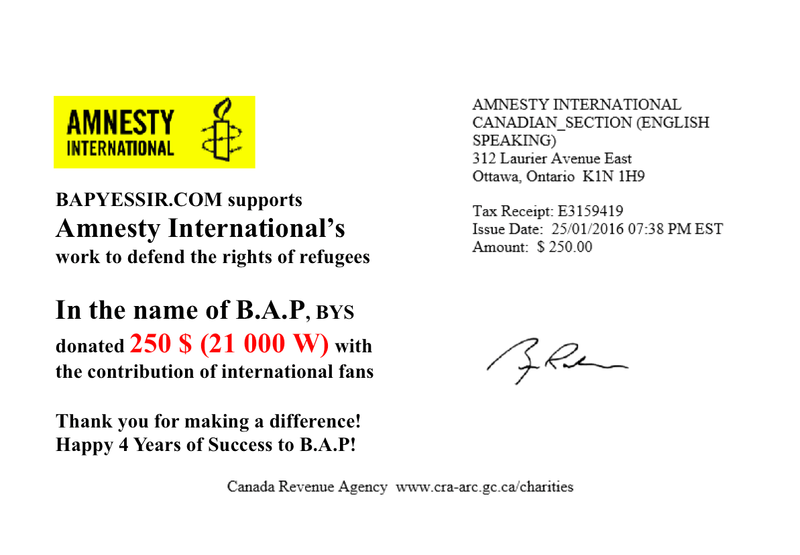 That is why we would call this side project, B.A.P's Young, Wild & Free World and we will donate to Amnesty International, a global organization who is helping people who are fighting for their rights. You can also check out B.A.P's Helping Hands Briquette Wreath Project to help families and individuals in need of heat this winter. They're currently accepting donations to buy briquettes under the name of B.A.P for their anniversary. See how you can help HERE. We only accept donations through credit card, debit card (bank account) or PayPal. We unfortunately do not have enough time to collect donations through Western Union or concealed cash. 1) Select the option "Send or Receive"
2) Select "Send Money to Family and Friends"
3) Enter "bysfansite@gmail.com" in the field, the donation amount and that's all! *If you would like to donate through credit or debit card, please send an email to bysfansite@gmail.com with subject "DONATION"
People who would like to donate by credit card or debit card should add the amount of donation they would like to give in the email they send to us! You will receive an email from PayPal with instructions on how to donate using a card. *Once the donation is done, please fill up this form so we can notify you as soon as we receive your donation! If you don't fill up the form, your name and country won't appear on the Briquette Wreath and your country won't count as one of the donator for Amnesty International. Thank you for your contribution and Share this post with your friends for bigger impact!